Sounds like maybe Johnny's pursuing a bit more autonomy in the world of film and "digital content"? I know Infinitum Nihil is not new, but this international partnership the article mentions is. Avoiding going through Hollywood as much as possible sounds like a good tack. Terry Gilliam's been getting financing and filming outside the U.S. for years. Maybe it's good to be a little more independent of Hollywood. I wish Johnny all the best for his projects and love him so much. Thank you In-too-Depp for posting this news. Great to read about Johnny's upcoming work and to see Sam Sarkar and Stephen Deuters involved with the project as well. Sounds like he might be hitting a perfect balance between commitments to a massive franchise in Fantastic Beasts (and he may even do another Pirates) but then plenty of really gripping work in independent films - I think this and Waiting for the Barbarians sound very much like stuff he'd want to pursue. I also love how these things come out of nowhere - did anyone have any hint it was coming? I'd also been wondering why Stephen wasn't with Johnny during the HW tour, he seemed to be looked after by Nathan - clearing Stephen really is transitioning into producer role and putting all of this together, the financing etc, must have taken a lot of hard work. All very exciting. Going to read the book. Looks like a beautiful locale for filming, just across from Italy on the eastern side of the Adriatic Sea. 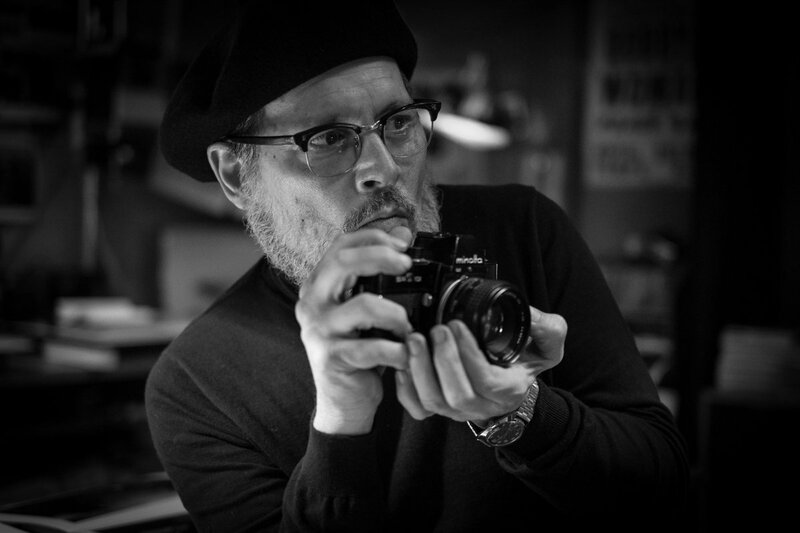 First pic of Johnny as photographer W. Eugene Smith. Yeah I know, I feel the same. Ohhhh, THANK YOU, In-too-Depp - for the photo (hope JD’s eyes are blue) and the article! I can’t properly express how hopeful I am for this film. News has been so sparse since Johnny’s involvement was first announced months ago (thrilled to see Bill Nighy added to the cast list). But even the minimal coverage seemed to harbor a potentially riveting story. Since then I’ve purchased the huge hardcover, Minamata. “Riveting” is an understatement! Hope Mr. Levitas and Mr. Kessler are up to the job. He just does it everytime doesn't he - doesn't exactly replicate how someone looks so much as captures them. Amazing. And Bill Nighy! He must be playing the editor? First Mark Rylance, now Bill Nighy - pulling in British acting royalty - at least all the British acting royalty who weren't already with him in Murder on the Orient Express. Ade wrote: He just does it everytime doesn't he - doesn't exactly replicate how someone looks so much as captures them. Amazing. . . ..
You are right, Ade. And he does it with such intensity - all in - I am always in awe of the final product. This is such an exciting project about such an emotionally, engrossing topic.